Heike is a designer and Kris, better known as "Kronk", is an illustrator and toy designer (not the kind for toddlers but the collectible kind) and has turned out some amazing toys for Kid Robot in the U.S.
As creatives, the decor was very important to them and they wanted something that reflected them, and not current wedding trends. They told us how they were avoiding shabby chic and anything vintage at all cost. We must admit, we've seen enough of it too, lately. They wanted a sleek and stylish theme with a few surprises in between, like the enormous "Just Married" vinyl decal across one entire wall of the venue and the uber cool "Love Bird - Wedding Edition" toy, designed by Kris, as a wedding favor for all their guests. Each guest received a pair of the toys, with K.H logo on their little feet, which fit together in a Love-Bird embrace. We even got a pair! And boy did they ever pull it off, with the help of their super-star wedding coordinator Hannes who brought some "out of the box" idea's like the table numbers painted onto the side of the tables. What a joy and pleasure it was to photograph this decor. We cannot stress how much a thoughtful, simple and stylish theme almost photographs itself. Less is more. Simplicity is everything, the list of sayings goes on and on but the idea remains the same. 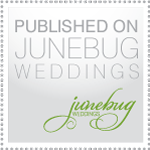 amazing wedding, amazing venue, amazing photography..
Great picks for a greater occasion. And Ilovethegirlthatsaidwelovewelovepictures and I agree with her that Ilovewelovepictures as well! You guys are just way too awesome!! love it! One of the most unique weddings I've seen. And STUNNING photography. I almost crashed looking at this post! Fantastic and clean! Great job! Looks like an amazing couple! rock on guys! I am always impressed! FREAKING A-M-A-Z-I-N-G!!!! Speechhhhlesss......sjoe I ♥ wellovepictures!! That chair, that chair....we on earth do me find that chair! Vannessa i think it was a rental? Not sure, it was the coordinaters idea? they are Philippe Starck ghost chairs - about $400 a piece! Hey Vanessa!! Hannes here... i hired it from Foci in Cape Town. They have amazing stuff there!! So beautiful....they both look so happy. I really like the bride and groom name plates and the 'nom nom' serviettes...so clever! This is perfection! I love everything about it from the venue to the bride's dress. This is WOW! That's all I can say. Wow, this is so lovely. the dress is beautiful! anyone have an idea where she got it?